Colorado voters this November may face two transportation-funding ballot proposals that will offer starkly different strategies for addressing the state’s $9 billion shortfall for paying for roads and bridges over the next decade. Motorists and civic, political and business leaders alike are concerned that lack of investment in transportation infrastructure and growing congestion will sharply constrain Colorado’s economic future. Each proposal contains certain political assumptions that may or may not appeal to an individual voter, depending on his or her political philosophy. One generally reflects the viewpoint of Republicans and the other the viewpoint of Democrats, a difference largely manifested in the recently completed session with the passage of SB-1, the marginally bipartisan bill that represented the legislature’s best shot at tackling the problem. On May 31st, Governor John Hickenlooper signed SB-1 into law, an action “that was met by a collective yawn by many of the organizations that had pushed for help with the state’s highways and transit system,” wrote Ed Sealover, veteran statehouse reporter for The Denver Business Journal. CACI supported SB-1 (described below) but remains concerned that the legislature did not dedicate more General Fund revenue to transportation on a sustained basis. Concerning the possible two ballot measures for November, the CACI Board of Directors normally waits until after a measure has qualified for the ballot to take a position. To qualify for the ballot, a citizen-initiated measure with at least 98,492 valid signatures of registered voters must be filed with the Colorado Secretary of State by 3 p.m. on August 6th. The two potential ballot measures reflect the fact that SB-1, a last-minute political compromise, will allocate a one-time $645 million expenditure for transportation funding for the next two fiscal years beginning July 1st from the so-called $1.3 billion revenue “windfall” caused by the state’s strong economy and the effect of last December’s Federal tax act on the state’s tax system. Of this $645 million, 70 percent will go for roads and bridges, which reflects the Republicans’ priority. Reflecting the Democrats’ priority, the rest is apportioned between local governments (15 percent) and multi-modal projects (15 percent). If voters do not approve a transportation ballot measure this November, then SB-1 will put before the voters a measure in November 2019 to endorse the sale of $2.3 billion in transportation bonds for roads-and-bridges and multimodal projects—but not for local governments. Each year, the legislature would appropriate $122.6 million to service the debt, but only $50 million of this is “new” money from the General Fund because of SB-1. The balance, $72.6 million, would come from existing State transportation dollars. If the voters do not approve a ballot measure in 2018 or 2019, however, then the SB-1 will allocate the $50 million annually for 20 years for transportation beginning with the fiscal year that starts July 1st, 2020. We don’t have a sustainable, long-term funding source for transportation infrastructure. Every year, advocates for transportation infrastructure head to the state Capitol to battle for resources against advocates for other worthy budget priorities – from education to health care to public safety. And, every year, our infrastructure falls further and further behind. The answer is to identify and implement a long-term, sustainable funding source for transportation. 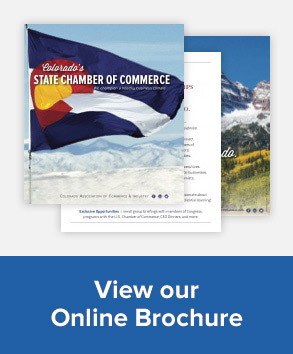 Led by the Colorado Contractors Association and the Metro Denver Chamber of Commerce, the coalition is advocating a ballot proposal, Initiative 153, that would increase for two decades the state sales-and-use tax by 0.62 percent, which would bring the tax to 3.52 percent beginning January 1, 2019. The proposal also authorizes CDOT to issue up to $6 billion in bonds to be spent on state transportation projects. 15 percent for multimodal transportation. The Legislative Council prepared an “Initial Fiscal Impact Estimate” for the Ballot Title Setting Board. If the initiative qualifies for the ballot, then the Legislative Council will prepare a revised Estimate for the Blue Book Voter Guide if new information surfaces. The petition measure was approved on May 18th by the Ballot Title Setting Board for circulation for signatures. According to the Estimate, in the 2018-2019 fiscal year beginning this July 1st, the additional sales tax revenue would be $366 million, which is a half-year impact. In the following fiscal year, the tax increase would bring in an estimated $766.7 million. The increases would continue for the next 18 years through fiscal year 2039-2040. Given economic uncertainties, including recessions, the legislature’s analyst cannot now predict how much total revenue would be raised from the sales tax increase over the twenty-year period. As mentioned, 45 percent of the new revenue raised by the sales tax increase would go to the State Highway Fund (SHF). The priority for the new revenue would be to service the debt (repayment of principal plus interest) on up to $6 billion in bonds issued by the Colorado Department of Transportation (CDOT). The remainder of the money would go to state transportation projects. In the coming fiscal year, 2018-2019, the new revenue from the sales tax increase going to the SHF would be $164.7 million, and in the following year it would be $345 million. CDOT would be authorized to begin selling up to $6 billion in bonds called “Transportation Revenue Anticipation Notes” (TRANs) in fiscal year 2018-2019. Total bond repayment cost would be $9.4 billion over the twenty years. The Estimate projects that the annual debt service cost would be $470 million beginning in fiscal year 2019-2020. In the first fiscal year, 2018-2019, as noted above, the estimated revenue from the tax increase would be $164.7 million for half a year (the increase would take effect January 1, 2019) but there would be no debt service because the bonds would be first issued in this year. In the second fiscal year, 2019-2020, as noted above, the sales tax increase would be $345 million, but the debt service would be $470 million. In other words, there would be a deficit of $125 million that would have to be covered by the SHF for fiscal year 2019-2020. The use of toll lanes is a divisive issue among Coloradans when discussing solutions to Colorado’s congested public highways, and the Express Lanes on U.S. 36 between Denver and Boulder are a case in point. Currently, some Douglas and El Paso County residents are vocal in their opposition to CDOT’s plan to add a north-bound and a south-bound toll lane to the (in)famous I-25 South “Gap” between Monument and Castle Rock where the highway now only has two lanes in each direction. Addressing this bottleneck, which is frequently congested and has delays due to accidents, has long been a top priority for CDOT and the residents of the two counties. This spring, CDOT held two meetings, one in each county, about its plan to add toll lanes at a total projected cost of $350 million to eliminate the 18-mile Gap. According to The Colorado Springs Gazette, residents at two meetings were adamant in their objection to the CDOT proposal, saying that they would be taxed twice for the project (through local and state taxes) and that it would only benefit those willing to pay the toll. CDOT, however, plans to begin work late this summer. Project funding includes Federal funding plus $250 million in new state transportation dollars and $35 million from Paso and Douglas Counties. On Tuesday, CDOT announced that the U.S. Department of Transportation will grant $65 million for the Gap project. The Federal funds will come from the “Infrastructure for Rebuilding America” competitive grant program. The Preferred Alternative is widening an 18-mile segment of I-25 from Monument to Castle Rock by adding an Express Lane in each direction. Following more than a year of study from the Planning and Environmental Linkages process and the Environmental Assessment, CDOT found this option would best meet the project’s purpose and need to improve safety, travel reliability and mobility. Express Lanes provide a level a travel reliability that other options do not. Motorists will always have a choice to either take the two general purpose lanes for free or travel the Express Lane, one in each direction, for a variable toll. Tolls would be higher during peak travel times and lower during non-peak times to ensure the CHOICE of a free-flowing lane. Travel times will improve across all lanes. Initiative 153 addresses both toll lanes and toll roads. Toll revenue remains on the corridor where it was raised for “maintenance, operations, or construction of mobility improvements” by CDOT. Initiative 153 would create a citizen oversight commission that would report each year on how the bond proceeds were used. As mentioned above, 40 percent of the new sales tax revenue would go to a newly created Local Transportation Priorities Fund, which would be used by local governments to pay for the maintenance and construction of highways. In the first fiscal year, this would amount to $146.4 million and $306.7 million in the second. Under current law, local governments must spend transportation revenue transferred from the state for construction and maintenance of public highways, together with acquisition of rights-of-way and access rights, and for the construction and maintenance of transit-related projects. As mentioned above, 15 percent of the new revenue from the sales tax increase would be allocated to a newly created Multimodal Transportation Options Fund, which would be $54.9 million in the first fiscal year and $115 million in the second. Multi-model transportation purposes include mass transit, rail, bicycle lanes and walking paths, for example. Counties and municipalities must provide a 50 percent match for the amount that they request from this Fund for their multi-modal projects. The CDOT Transportation Commission can prioritize projects that receive monies from this Fund. Initiative 153 will increase average household sales-and-use taxes by $130.63, according to the Estimate. Initiative 153 is backed by such regional organizations as Club 20 (Western Slope) and Pro 15, formerly Progressive 15 (northeastern Colorado), as well as the Metro Mayors Caucus. Among the most prominent Democrats leaning towards supporting it are House Speaker Crisanta Duran (Denver) and Governor John Hickenlooper. Some regions of the state may be less than enthusiastic about the sales tax increase idea. Colorado’s highways and bridges are not in shambles because the state has been without resources. They are neglected by design. Politicians believe voters will tire of bad roads, getting so disgusted they will raise taxes to fix them. Meanwhile, they spend lavishly on Medicaid expansion. They ponder subsidizing more “affordable housing” and other social programs that fall outside the core responsibilities of state government. Citing coalition information, The Denver Business Journal said 59 percent of the additional sales tax revenue would come from the metro Denver region but only 41 percent of the transportation funding would be directed back to the region. In other words, the metro Denver area would subsidize out-state areas. Jon Caldara, the colorful-and-quotable chief of the conservative think tank, The Independence Institute, is pushing Initiative 167, a measure–now in the signature-gathering phase–that would force the legislature to pay the debt service on $3.5 billion in transportation bond sales. The Institute is often labeled “free market” or “libertarian” by the mainstream news media. The Initial Fiscal Impact Statement points out that the proposal mandates that CDOT issue the TRANs no later than July 1, 2019. Debt service consists of repayment of principal plus interest. Total TRANs repayment is capped at $5.2 billion over the two decades. The average annual repayment would be a projected $260 million. The actual repayment, however, would be a function of when the TRANs are issued, the terms of the TRANs and the interest rate. In other words, over twenty years State spending on other governmental services would be reduced by $5.2 billion through fiscal year 2038-2039. Under Initiative 167, no money would go to local governments or for multi-modal purposes. No money would be spent on mass transit. The proceeds from the sale of the bonds would be spent only on road-and-bridge expansion, maintenance, construction and repair for 66 specific projects–called Tier 1–located in each of the state’s 15 transportation planning regions. For these 66 projects, the current Tier 1 funding need, according to CDOT, is $5.6 billion. The amount is “subject to change due to inflation, project delays, and the availability of federal and local match funding,” according to the Estimate. CDOT and the Transportation Commission would determine the selection and order of projects for funding. Democrats are concerned that, during the next recession, the legislature would be forced to make deep cuts in education, corrections and social services programs because the $350 million would first have to be paid to service the bond debt. A state that defaults on bond payments faces the drastic prospect that its credit rating could be drastically downgraded, which would raise borrowing costs. Among prominent Republican leaders leaning towards supporting the Initiative 167 are Senate President Kevin Grantham (Canon City) and House Minority Leader Patrick Neville (Castle Rock). In 1999, Colorado voters approved a transportation funding proposal, Referendum A, by a 61 percent margin. The measure authorized CDOT to borrow up to $1.7 billion by selling TRANs, which had a maximum repayment cost to $2.3 billion. State and Federal dollars were used to repay the bonds. The funds were used for 28 prioritized projects, including the famous T-REX project on I-25 in south Denver and beyond. In the end, CDOT issued $1.5 billion in TRANs and made a total repayment of $2.3 billion. In 2005, Referendum D, a measure to bond $2.072 billion, was defeated by the voters when it garnered only 49 percent of the vote. The measure would have provided $1.7 billion for transportation projects. For information on transportation funding and the two ballot measures, contact Loren Furman, CACI Senior Vice President, State and Federal Relations, at 303.866.9642. “I-25 and I-70 congestion-relief efforts in Colorado get a $90 million boost from federal grants,” by John Aguilar, The Denver Post, June 6th. “I-25 widening project, I-70 shoulder lane win federal funding,” by Rachel Riley, The Colorado Springs Gazette, and Mark Harden, Colorado Politics, June 5th. “Governor signs transportation funding boost, receives little praise for doing so,” by Ed Sealover, The Denver Business Journal, May 31st. “Q&A with Marc Williams / Arvada’s mayor wants statewide transportation solution,” by Dan Njegomir, Colorado Politics, May 29th. “Stapleton says he would halt new I-25 toll lanes, after Suthers’ endorsement,” by Conrad Swanson, The Colorado Springs Gazette, May 29th. “Colorado coalition to rally support for sales tax hike for transportation on fall ballot,” by Ed Sealover, The Denver Business Journal, May 18th. “Colorado coalition seeking sales tax hike to pay for transportation needs will begin collecting signatures to get on ballot,” by Jesse Paul, The Denver Post, May 18th. 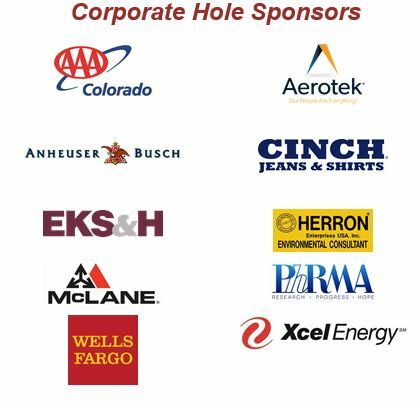 “Denver chamber-led coalition will seek sales tax for roads,” by Joey Bunch, Colorado Politics, May 18th. “State remains committed to I-25 toll lanes despite El Paso County opposition,” by Rachel Riley, The Colorado Springs Gazette, May 17th. “CDOT proposes fixes to I-70 mountain corridor bottlenecks,” by Cathy Proctor, The Denver Business Journal, May 15th. “Q&A w/Tony Milo / ‘Voters are fed up with sitting in traffic,’” by Dan Njegomir, Colorado Politics, May 14th. “Fix Our Damn Roads, instead of funding shell game,” opinion by Jon Caldara, The Denver Post, May 12th. “Republicans, Democrats split over which transportation funding ballot measure to support,” by Ed Sealover, The Denver Business Journal, May 11th. “Major Transportation Funding Bill Headed to Governor,” CACI Colorado Capitol Report, May 9th. “’Fix Our Damn Roads’ gets a green light,” editorial, The Colorado Springs Gazette, May 9th. “Stop plotting transportation tax hike,” editorial, The Colorado Springs Gazette, May 1st. 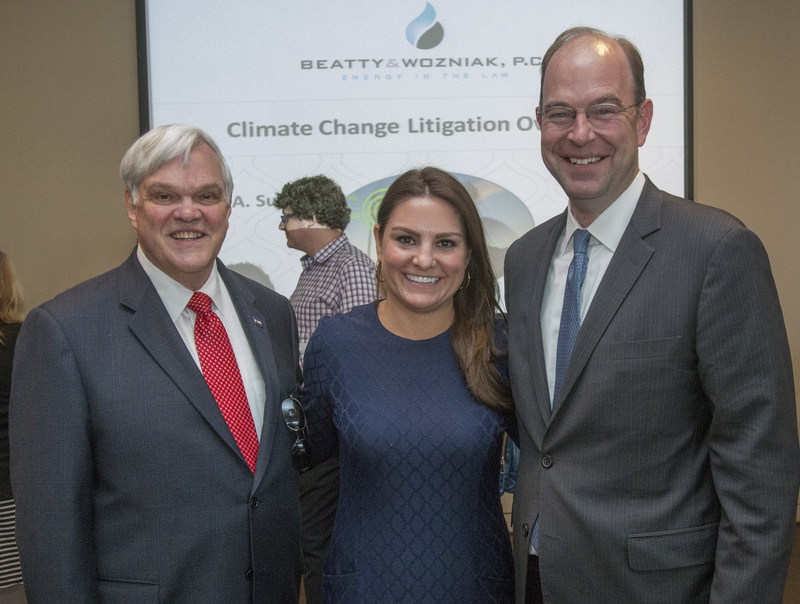 CACI hosted a timely discussion of the frivolous lawsuit brought against two of Colorado’s manufacturers – Exxon and Suncor – by the City of Boulder, County of Boulder and San Miguel County. CACI teamed up with the National Association of Manufacturers (NAM) and the NAM’s new Manufacturer’s Accountability Project (MAP), along with energy attorney Bret Sumners of Beatty-Wozniak, Assistant Minority Leader & State Representative for House District #37, Cole Wist. It should be no secret why CACI chose to tackle this important issue, as CACI works to improve the business climate in Colorado for companies of all sizes and industries. This lawsuit brought by a DC-based law firm against two Colorado manufacturers is not only frivolous, it holds two individual companies in our state responsible for what is a global issue, where any potential lawsuit windfall would only benefit attorneys, not those the suit is claiming to help. CACI’s panel discussion allowed an audience of nearly 90 leaders within the business community, local and national media to have an in-depth discussion about what this case could mean for Colorado, manufacturers around the country and why allowing frivolous lawsuits to proceed will hurt our economy. For more background on this case, click here. For questions about this case or CACI’s involvement with the Manufacturer’s Accountability Project, contact Leah Curtsinger, CACI Federal Policy Director by email or at (303) 866-9641. “While new to many, Colorado celebrates a long history of collaboration to tackle the big challenges our state has faced. Colorado thrives because people from across our state work together, and our energy and natural resource development is a chief example. Here, some of the strictest government oversights of oil and gas production and energy efficiency requirements exist alongside strong agricultural communities and awe-inspiring outdoor recreation – creating jobs, generating tax revenue, and supporting our quality of life. We achieve all this because of Colorado’s spirit. Unfortunately, out-of-state, anti-energy activists with ties to billionaire donors are trying to use our courts to undermine this time-honored cooperation, threatening hundreds of thousands of jobs and endangering millions of dollars in taxes that fund local schools, law enforcement, and roads throughout Colorado each year. Last month, the City of Boulder and County of Boulder were joined by the County of San Miguel, in filing a lawsuit against two important manufacturers in our state – ExxonMobil and Suncor – claiming the companies are responsible for climate change. What is sold as a means to somehow protect Colorado communities is no more than another notch on the belts of professional activist groups seeking to grow a national campaign against the energy sector, doing so through the courts. This lawsuit and other carbon copies of it popping up across the country ignore our spirit of collaboration and the balance Colorado accomplishes. In Colorado, manufacturing is a $23 billion business that continues to grow each year. The average manufacturing employee made nearly $75,000 in 2016, which includes thousands working in the energy sector. Frivolous litigation like this case puts our economic success at risk and undermines our progress in a number of ways. As outside groups scramble to create reports and find experts to “prove” the exact damages for which these companies are responsible, legal fees mount. Funds that would otherwise be invested into these businesses and their employees, pay instead for lawsuits that seek to blame a global issue on only two companies. While these activist groups — like the DC-based Niskanen Center and EarthRights International — get their headlines about “taking on Big Oil,” Coloradans miss out on new employment opportunities and lose taxpayer-supported resources to trial attorneys — all for the sake of a negative and disingenuous public relations campaign. We would also be naive to think the campaign will stop here. Are the parts that go into our vehicles next? What about the farmers and ranchers who feed our state? If this lawsuit is allowed to continue, the floodgates could be opened to include any Colorado business that generates carbon emissions. Lastly, one of the most troubling facets of this debate is that these lawsuits will not result in real solutions to climate change. A new report from the American Petroleum Institute finds that the oil and gas sector was the biggest overall contributor to emissions reduction technologies in the United States from 2000 to 2016, putting the sector ahead of the federal government and all other private sectors. The same group being targeted by these lawsuits is actively seeking solutions to the problem the plaintiffs say they want to address. Climate change is a global issue that goes far beyond the borders of Colorado. The Colorado Association of Commerce and Industry (CACI) and our members take pride in doing our part in being good stewards of the land. We work together with business and government to invest smartly and for the future, so we can keep Colorado’s environment strong, among other long-term challenges. 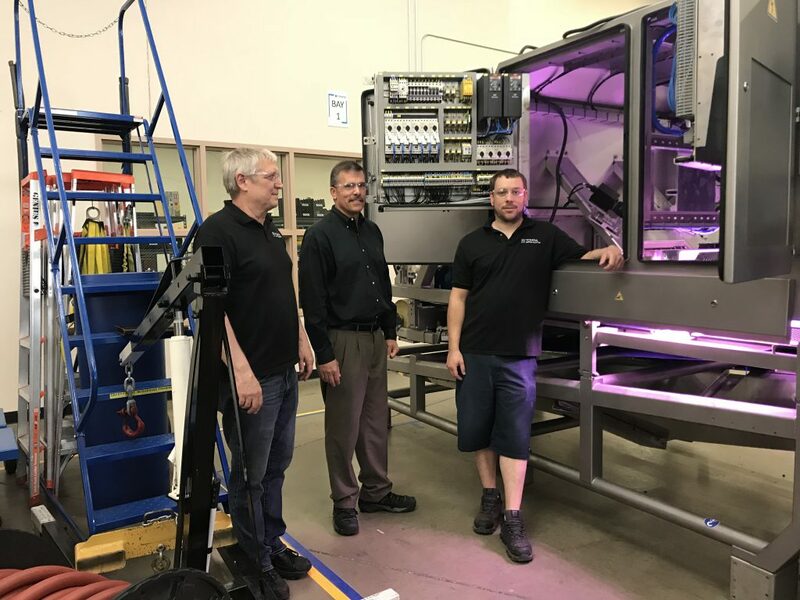 Greg Smith, Plant & Operations Manager (Center); Matt Stewart, Production Team Lead (Right); and William Stockley, Supply Chain Manager (Left) at TOMRA Sorting Solutions demonstrate electrical panels manufactured by Palmer DCS that have been integrated into TOMRA’s sensor-based sorting technology. As the Colorado affiliate for the National Association of Manufacturers (NAM) CACI is the state’s leading organization representing manufacturing interests in Colorado. CACI recently partnered with the Colorado Advanced Manufacturing Alliance for a reception at TOMRA Sorting Solutions—a global leader in sensor-based sorting technology for the food, recycling, mining and other industries. Prior to the reception, TOMRA’s Denver Plant and Operations Manager, Greg Smith mentioned to CACI’s Dave Tabor his desire to have Colorado companies bid on providing goods and services for his growing business. Dave suggested that Greg have manned tables at the reception to call attention to these opportunities, and Greg agreed to give it a try. Three other suppliers were connected to TOMRA at the CACI event, and Greg believes there is potential for even more expanded relationships with local companies. Coloradans starting a new business now have a simplified, more efficient way to register a business and obtain state licenses and registrations. MyBizColorado provides a single path to interact with multiple state agencies, cutting red tape and expediting the process for a business start-up. The new system was announced today by Governor John Hickenlooper and Secretary of State Wayne Williams. MyBizColorado is designed to provide a user-friendly, streamlined experience to deal with multiple agencies on essential business start-up activities. The site is at mybiz.colorado.gov. Participating agencies and partners include the Department of Labor and Employment, Department of Revenue, Department of Regulatory Agencies, Governor’s Office of Economic Development and International Trade, Governor’s Office of Information Technology, Secretary of State’s Office, the Statewide Internet Portal Authority, and Colorado Interactive. The new system will be especially helpful for emerging small businesses who often don’t have the resources or staff of large companies. Small businesses in Colorado employ one million people, nearly half of the state’s workforce, according to the Small Business Administration. While we often hear about large corporations coming to Colorado, the fact is that small businesses create 30,000 to 40,000 new jobs every year in the state. MyBizColorado replaces a decade-old system called the Colorado Business Express. Its 2007 technology was slow, cumbersome and not available for mobile platforms. The new system is user-focused, accessible via tablets and smartphones. The site also will intuitively direct users to the correct call center at each participating state agency if the client needs help or has additional questions. Click here to see a short video about MyBizColorado with the governor and secretary of state. The warmest tournament in CACI history displayed a new group of winners taking home the top prizes. 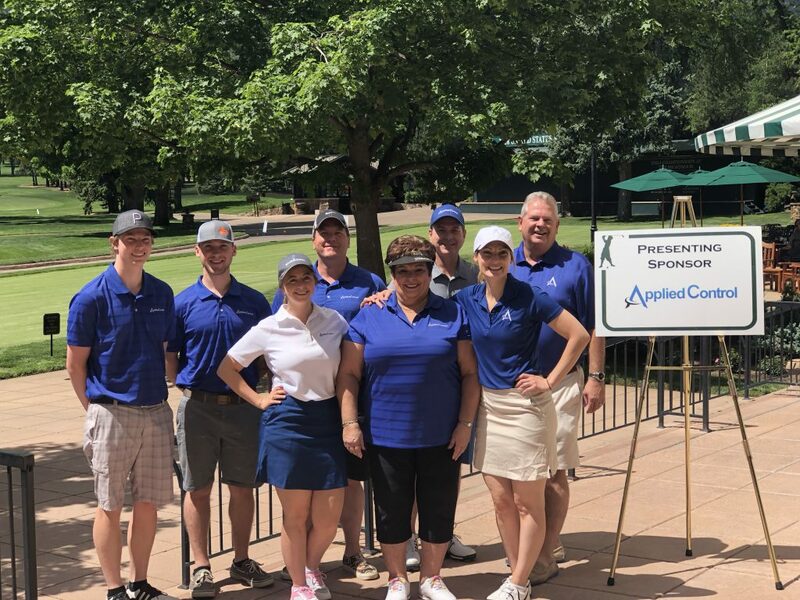 Thank you to Applied Control and all who participated in making our golf tournament a success.